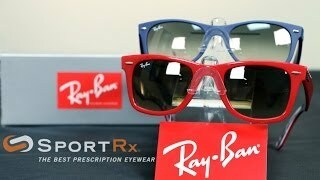 Ray-Ban RB21325F New Wayfarer Asian Fit 52 Eyesize sunglasses are the perfect combination of a timeless classic and added innovation. Its iconic shape is a spitting image of the original Wayfarer, while, the smaller frame and slightly softer eye shape, make for a refreshing updated version of an already legendary Ray-Ban frame. 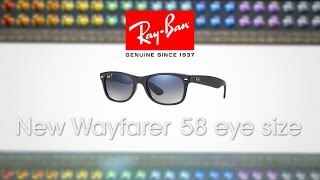 In addition, if you are looking for the smaller size of these flawless Ray-Ban’s, the 52 eye size specification makes sure that these sunglasses will suit you. 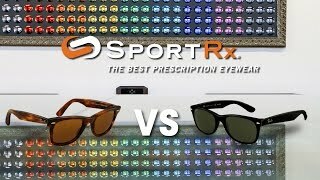 If you need Ray-Ban Rx sunglasses, the SportRx opticians will customize prescription lenses for your new Ray-Ban RB2132F New Wayfarer Asian Fit 52 Eyesize prescription sunglasses.